I’ve had an interest in vintage/retro style “travel” ad posters for a long time, and finally decided to make one of my own. 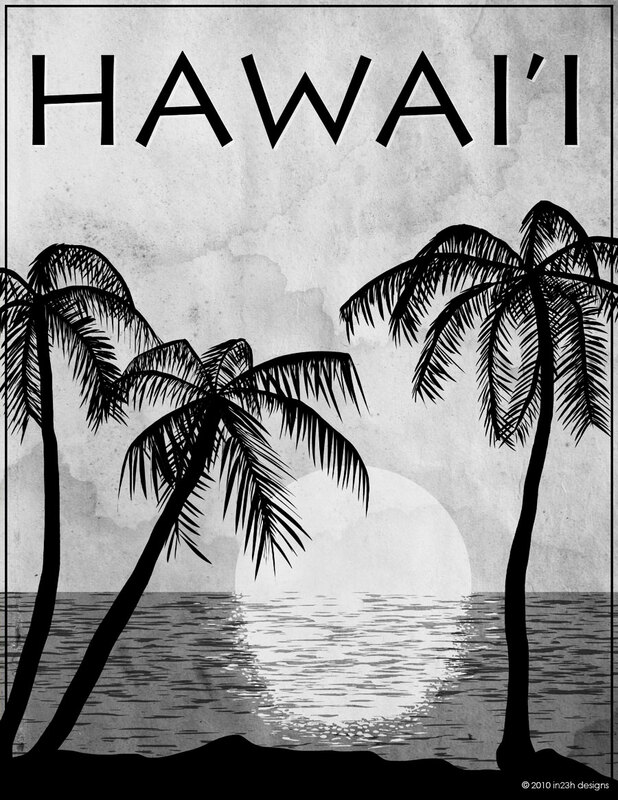 My first ad is Hawai’i and I have a lot of other ideas for travel ads. Not just real places, but places from movies, books and games too. Anyway, I made 3 versions; original, faded and black & white in Photoshop.